JOSH WARRINGTON’S first taste of Las Vegas came on the night when Carl Frampton fought there and the Leeds boxer believes victory over Frampton in Manchester on Saturday night will be his ticket to a bout on the Strip. Warrington was in the crowd when Frampton appeared at the MGM Grand in Vegas two years ago, watching the Belfast puncher relinquish his WBA featherweight belt to Mexico’s Leo Santa Cruz. The bright lights of Nevada are now on Warrington’s mind as he attempts to open the door to unification fights. The 28-year-old’s dramatic points win over Lee Selby in May earned him the IBF title and a seat at the top table in the nine-stone division but bigger, more lucrative contests will come if he wraps up the biggest year of his life by adding Frampton to his list of 27 scalps. Warrington has never lost a professional bout and Frampton’s rematch defeat to Santa Cruz, a majority decision which went against him in January 2017, is the only black mark on his impressive record. FIGHT GAME: Carl Frampton looks on at IBF featherweight champion Josh Warrington at Friday's weigh-in in Manchester. Picture: Steve Riding. Warrington, who trains in Batley under the watch of his father and trainer Sean O’Hagan, has been adding to that scrapbook constantly for six years. 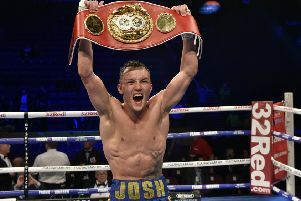 He won his first title in 2012, the English featherweight belt, and went through the Commonwealth and European straps before dethroning Selby and claiming the IBF’s prize in front of a crowd of close to 20,000 at the Elland Road ground of his beloved Leeds United. A all-British clash with Frampton was mooted immediately and Frank Warren, the veteran promoter who has both boxers in his stable, secured it for the last weekend before Christmas. 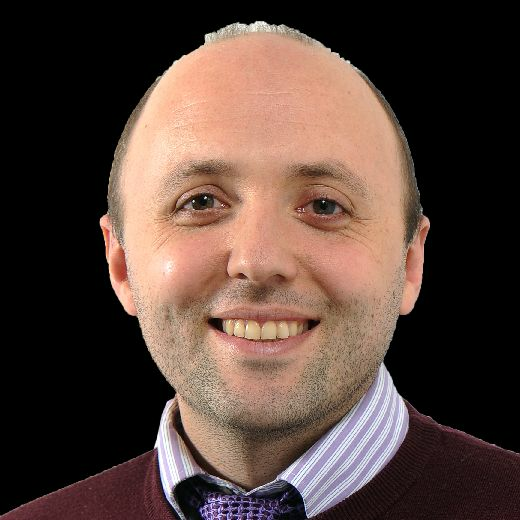 BT Sport have made it a pay-per-view event, in expectation of a contest which could prove to be the fight of the year in Britain. When he lost (to Santa Cruz), I made a mental note of things I thought he was doing wrong when he was losing rounds. You start building it all up and you see habits. Everyone can make a mistake but when it’s a habit it’s hard to break. Warrington revealed that he had been analysing and dissecting Frampton’s style ever since the former two-weight world champion first beat Santa Cruz in New York in 2016, on the same night that Warrington stopped Patrick Hyland in Leeds. “When he announced himself (by beating Santa Cruz), I remember being in a bar after I’d boxed Patrick Hyland,” Warrington said. “We were having a Guinness together and it was about half three in the morning. “We watched Carl and I was cheering him on but I thought ‘I’m getting to the world stage now’ and you start looking at him as an opponent. You start analysing and going a bit deeper, looking at what he’s doing wrong as opposed to what he’s doing right. CHAMPION: Josh Warrington, on his way to a points victory against Lee Selby at Elland Road in May. Frampton, though, has the experience of fighting for or defending a world title six times. Four of those contests were at super-bantamweight, prior to his decision to move up a division and travel to America to face Santa Cruz. Warrington’s only prior world-title shot came in May, when he boxed superbly to score a split decision over Selby. The night had been set up for Warrington in many respects, taking place in his home city and at the stadium of the football club he supports. Former Leeds captain Lucas Radebe flew in from South Africa for the ringwalk, while current captain, Liam Cooper, will be part of Warrington’s entourage on Saturday night. Selby struggled with the Elland Road atmosphere but Frampton, who claimed this week that Warrington believed he was “over the hill” at 31, promised to upset Warrington’s strategy from the start. “He might not respect my punching power but when he fights punchers, like the Kiko Martinez fight, he doesn’t commit as much,” Frampton said.